Custom 1/4" polished brass logo/letters on 1/4" standoffs. Beautiful result! Double layer acrylic with dimensional cut letters and logo. Aluminum and acrylic lobby signage. Combination of acrylic dimensional letters/logo and digital print. Acrylic with brushed metal laminate. Direct to surface print with clear acrylic cover. Double layer acrylic with direct to surface print. Painted acrylic letters and logo. Dimensional aluminum and acrylic lobby signage. Digital print cut letters on acrylic panels and wall mural. Brushed metal finish on aluminum with reverse cut on logo. 1/2" white acrylic with painted acrylic letters. 1/4" aluminum letters and logo. Acrylic letters mounted with ½" stand-offs. 1/2" acrylic letters with custom paint. The detail is amazing! 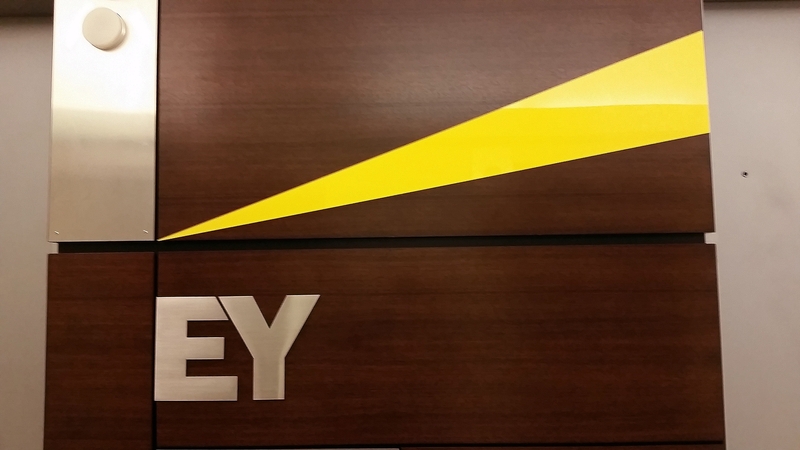 Custom reverse lit channel letters will brighten any office environment. 1/2" painted acrylic letters and logo. Dimensional and print graphics make this wall stand out! 1/4" aluminum and acrylic logo/letters. A second (non-illuminated) lobby sign for Polivka's main conference room. Brushed metal acrylic on cable attachment system for Choate Construction.